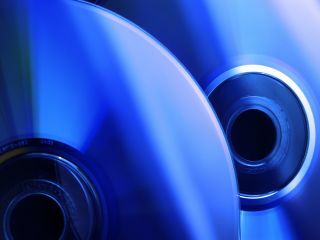 Virgin Media has unveiled plans to set up schools to educate the UK in exactly what broadband jargon means, after research pointed to a worrying amount of confusion that included 7 per cent of people surveyed believing that Blu-ray was a type of broadband connection. Aside from people thinking that HD spinning media was an internet connection, one fifth of the 3,000 people surveyed could not define what broadband was and 40 per cent did not know what ADSL meant. Thus, Virgin Media have mooted the idea of 'Broadband Schools' to educate people in things like what a dongle is and, hopefully, to prevent people from trying to feed their modem a Blu-ray disc. "As many of you may know I've never been terribly technical and I'm not at all ashamed to say that I'm probably a prime candidate for a Broadband School," said Virgin chief Sir Richard Branson. "I'm not alone, there are thousands of people in the same boat, and the only way they will ever learn is if things are kept simple. "At Virgin Media we want everyone to feel comfortable asking questions, no matter how silly they think they are, so that they can get the most out of their internet service and enjoy everything the internet has to offer." The research put Birmingham at the bottom of the pile in terms of broadband knowledge, followed by Belfast, Leeds, London and Wolverhampton.